Caption UNAFF celebrates the power of films and videos dealing with human rights environmental survival women’s issues protection of refugees homelessness racism disease control universal education war and peace. Documentaries often elicit a very personal emotional response that encourages dialogue and action by humanizing global and local problems. To further this goal UNAFF hosts academics and filmmakers from around the world to discuss the topics in the films with the audience groups and individuals who are often separated by geography ethnicity and economic constraints. --- --- --- originally conceived to celebrate the 50th anniversary of the signing of the Universal Declaration of Human Rights. It was founded by Stanford educator and film critic Jasmina Bojic with the participation of the Stanford Film Society and the UNA Midpeninsula Chapter a grassroots community based nonprofit organization. 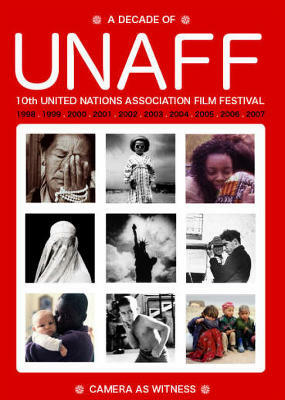 The 14th UNAFF will be held from October 21-30 2011 in Palo Alto Stanford University East Palo Alto and San Francisco.